Alicia here today, dreaming about sun and sand. I am so over the snow!! 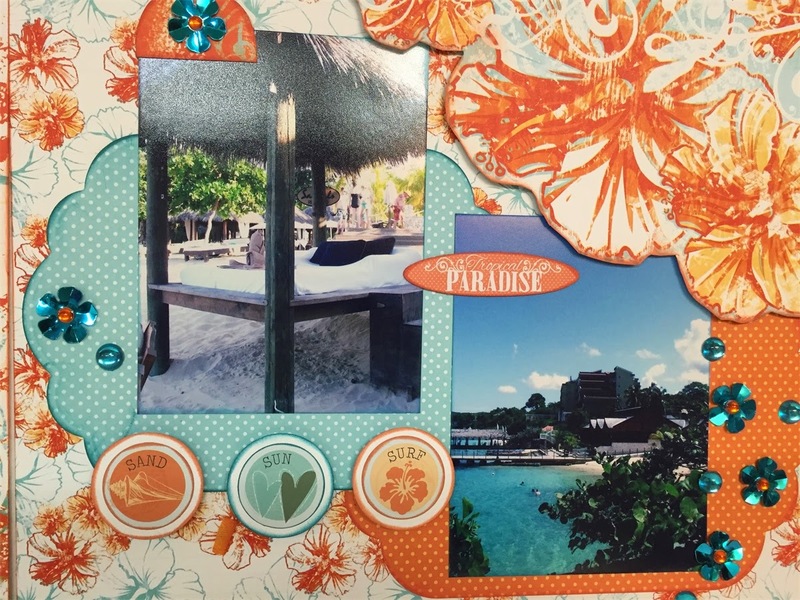 I am using the new Catalina Island to show off my honeymoon pics at Sandals in Ocho Rios, Jamaica. I am so excited, we are getting ready to go back in April and I cannot wait!!! I love fussy cutting, it can be tedious but worth the effort to get matching embellishments. All fussy cuts look so much better edged with Quick Quote chalking inks. I think these flowers turned out beautiful cut from Catalina Island 100. I popped them up with dots. 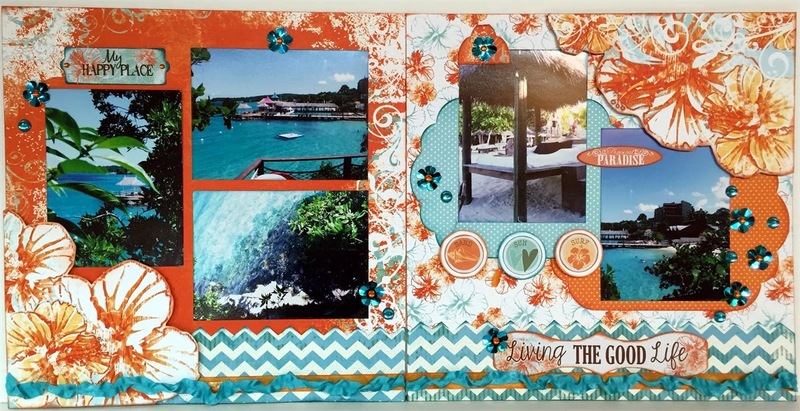 I also love how the chevron border turned out by fussy cutting Catalina Island 300. 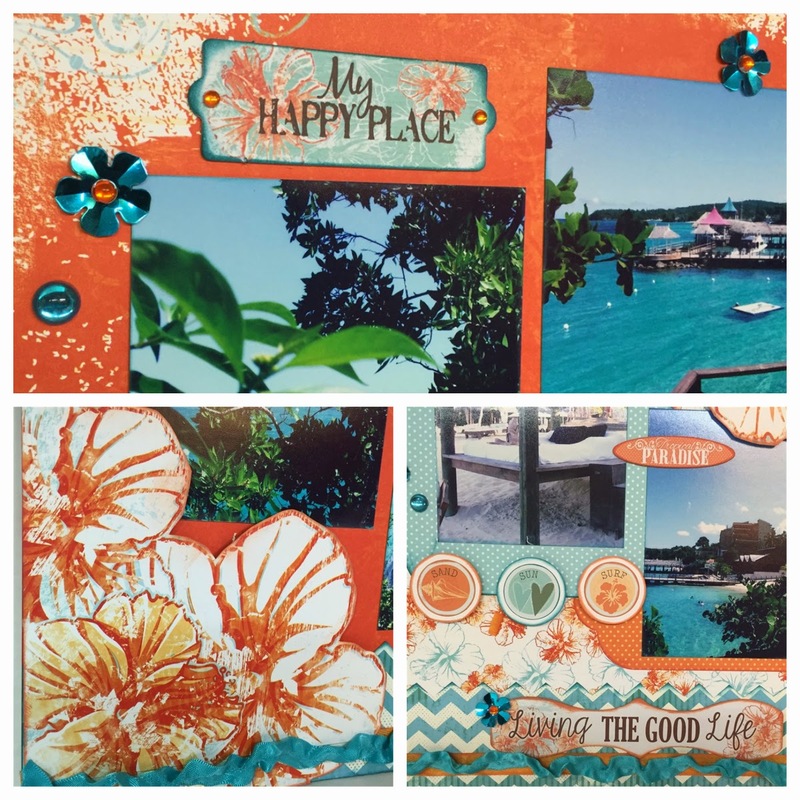 I used some of the Catalina Island 100 scraps that were primarily white to layer the Catalina Island Die Cut Stickers and pop them up, too. Thanks so much for stopping by today and checking us out! Beautiful layout, Alicia. Wonderful colors and accents.